After a week off, Christine's Rankings is back to hand out points for the most interesting and more importantly fun things that the drivers have been doing. Building up to the return of the season in Belgium, there's been some training, some quiz questions, some charity work and plenty of other sporting endeavours along the way. Oh, and Grosjean holds a tortoise. We're heading into the crucial end of the F1 season, and likewise with the rankings - this is the time when a good score can make or break the competition, and it's your duty to report any actions you see along the way. Let me know what you've spotted via the dedicated form. 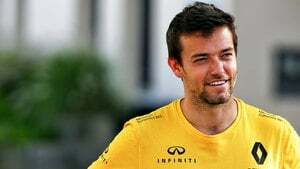 +2 Jolyon Palmer: Loving how competitive he is in the Renault version of Grill the Grid, and that he's considered the history nerd of the team. +2 Nico Hülkenberg: Another Grill the Grid spectacular, in which he does manage to squeeze in a couple of digs at his teammate. +1 Felipe Massa: Love a driver taking a spin class as a way to ease back into the second half of the season. +2 Lewis Hamilton: Great work with Unicef in Cuba. +2 Fernando Alonso: Swimming timelapse is a lot of fun, and what a view! +2 Lewis Hamilton: Kicking up a bit of dust in his summer break activities. +1 Valtteri Bottas: Hosting his own duathlon (and showing off on the bike). +1 Kevin Magnussen: Setting up for a career as a pilot when he's done racing. +1 Daniil Kvyat: Sharing a sneak peek of the book about his journey to F1. Previous post The mid-field crisis: What’s the answer to ensuring young drivers enter F1?